Ribbon cutting ceremony August 28 for Playground 123 in Harlem’s Morningside Park | HarlemGal Inc. 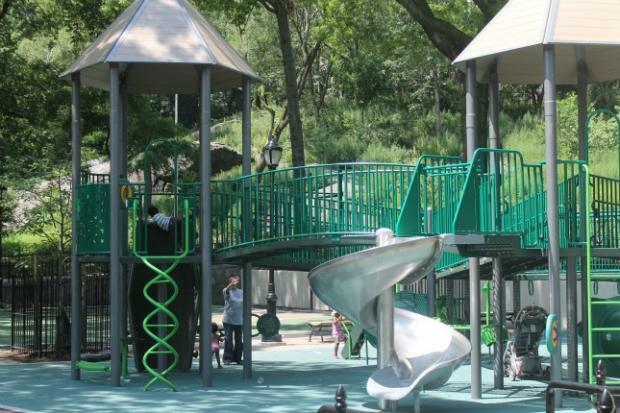 The NYC Department of Parks and Recreation has scheduled a ribbon cutting ceremony in Harlem tomorrow, Aug. 28 at 11:30am to celebrate the renovation of Playground 123 in Morningside Park. Interested participants should stop by. To learn more about Playground 123 in Morningside Park, check out Destination Harlem’s write-up . This entry was posted in Community, Free!, Harlem, Harlem blogs, kids, Morningside Park, Things to do in Harlem, Things to do with kids in Harlem and tagged Harlem, Kids, morningside park, new york city parks and recreation, NYC Parks and Recreation, Photo by DNAinfo, Playground 123, things to do with kids in harlem. Bookmark the permalink.